is a great way to keep track of the items you're bidding on, buying, selling or simply updating your account information. 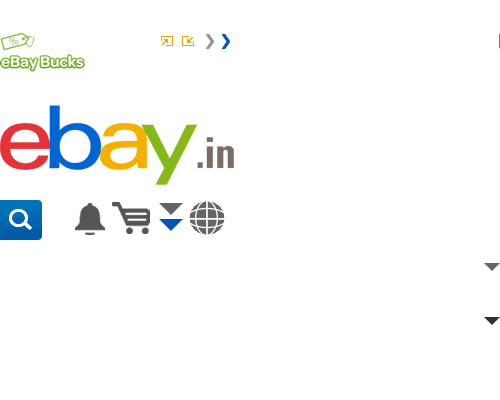 You can access your My eBay by clicking My eBay on the top of any eBay page. Buying Reminders: Buying Reminders is an alert box that prompts you to complete actions that are pending for your purchases on eBay. Items I am watching This section shows you a list of products you are watching along with the end date and time. You can click on any of the item titles to bid or buy that product. Buying Totals This section gives you the total number of items purchased and the amount for all those purchases. Items you have bid on: This contains all the items that you have placed a bid on. The values marked in green are the auctions you are the highest bidder for. The values marked in red are the auctions for which you have been outbid. Items you have won/bought The items that you have won / bought on fixed price will be shown in this section. Click the Pay Now button next to the transaction to make a payment for that item. You can also click the dropdown to contact the seller, pay for the item, or leave Feedback for the seller. The All Selling section is your online sales management tool. This section gives you all the information you need to manage your eBay sales. See the time left for the auction or Buy it now listing. Take action to sell a similar product, revise, edit, or end the listing. Unsold Items All the items that have ended without a buyer can be relisted from this section. You may want to consider making some changes to your listing before relisting it. My messages is your secure eBay email inbox, where you will receive all communication from eBay. You can also use it to communicate with your trading partners and receive PaisaPay payment confirmation mails. You can create folders and track your emails just like any another email inbox. This section consists of all your personal information, eBay preferences and subscriptions. You can edit your personal contact information, change your password or subscribe to any eBay tools.